Rotational Molding is one of the processes to produce hollow parts. It is usually used in creating parts that are very large such as kayaks, canoes, garbage cans and tanks. Because these machines are creating large parts the machines themselves require a large footprint. The process begins when a powdered resin is loaded into a mold. The mold is closed and clamped shut. If any non-plastic parts are to be incorporated in the part, it is placed in the mold prior to closing. An example would be a metal handle incorporated into a garbage can. Since the resin would collect on the bottom of the mold, it is rotated as it is heated. As the mold is turned the resin sticks to the mold and creates uniform product. 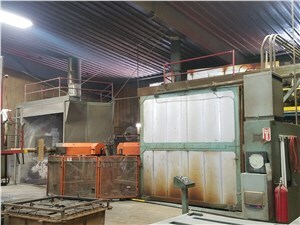 Once the product has cooled, the mold is opened and the part is removed. There are three major types of rotomolders – clamshell, rock and roll and rotary. Clamshell machines are a single station machine. The mold is loaded and spun in an oven that opens and closes like a clamshell. The loading, heating, cooling and unloading all happen at one location. Rock n’ Roll machines are used for long parts (for example, kayaks). The mold is spun 360 degrees and at the same time the machine is rocked back and forth 45 degrees to ensure full coverage. Rotary machines are used for the largest of parts that have a relatively similar length width configuration. The mold is loaded with resin on an arm that then indexes to an oven. At this point the mold is spun. Then the machine is indexed either to a removal station or another cooling station. Typical configurations are either three arm or four arm machines. In a 3-arm rotomolder, one arm is loaded while one arm is in the oven and the other arm is being unloaded. The 4-arm rotational molding machine follows the same process but has the additional station for cooling. Common materials run on rotational molders are LDPE, Nylon, PP, PC and Fluoropolymers.